I hope everyone had a great holiday season. Now that things are getting back to normal it's time to organize and sew! 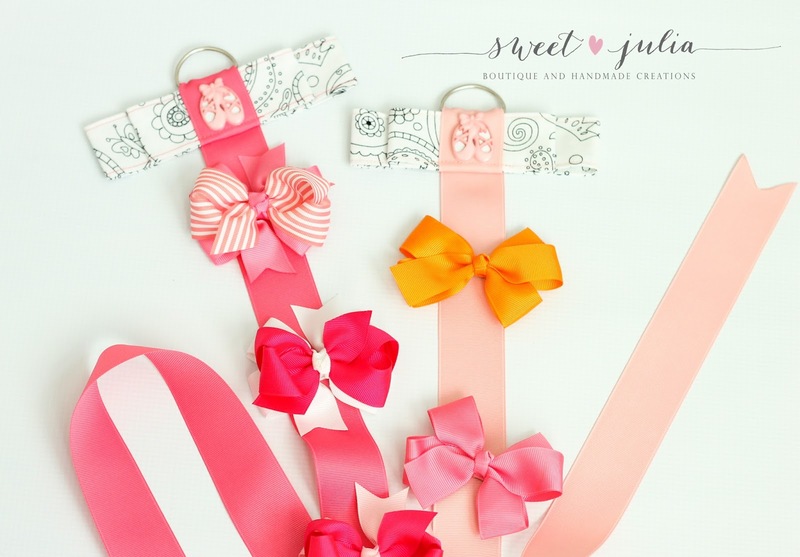 While organizing my daughter's closet I noticed the large number of bows she has, and as I was running out of bow holders, I decided to make my own using very little fabric. I used Color Me fabric by Hayley Crousse for Michael Miller Fabrics. 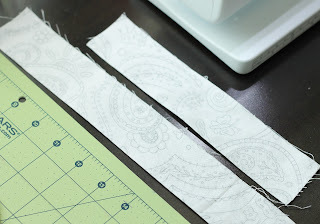 Every time I use this fabric line I think of the unlimited possibilities, this project is no exception. I am sure that aside from decorating my daughter's room it would also make a great party activity and favor and it is so, so easy to make! Any buttons or embelishments of your choice. 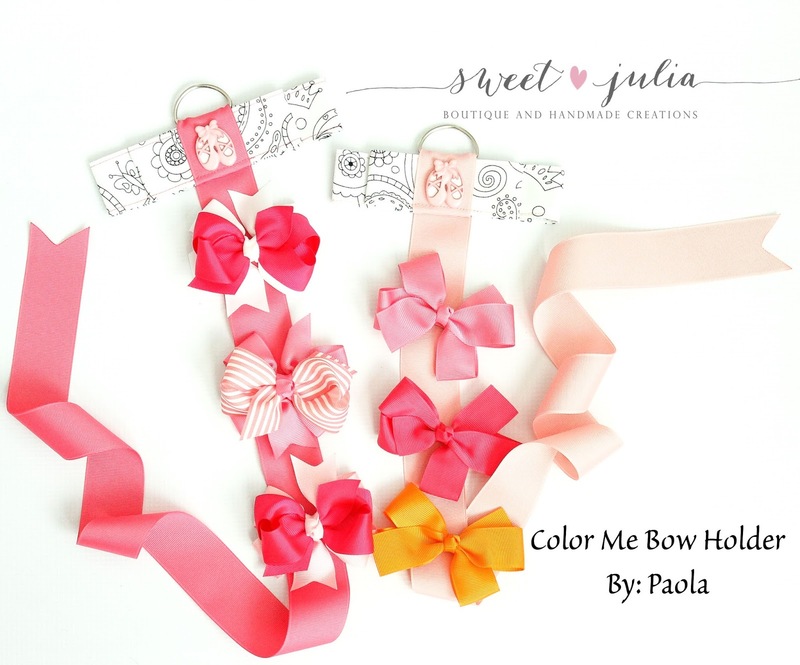 Cut 1 piece of fabric 12.5" x 3.5"
Cut 1 piece of ribbon on the desired length for your bow holder, plus about 3 inches. Fold fabric in half, right sides together by the long sides. Press. Sew along the long sides with a 1/4" seam allowance, leaving both short sides open for turning. You will have 2 tubes that resemble a strap. Turn right sides out using the method of your choice (I used a dritz turning tool). Press and topstitch. I used contrasting thread to match my ribbon. Bring the short ends together and overlap at the middle. 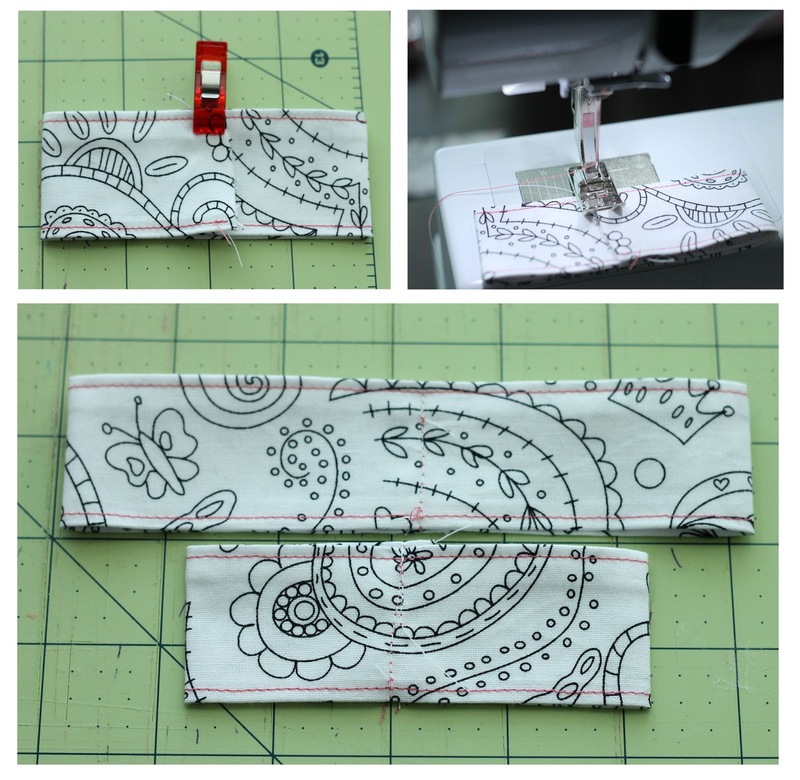 Pin or use a clip to secure and stitch down the middle. Don't worry that it doesn't look pretty and it's not serged/finished, that area will be covered with ribbon. Repeat with other piece. 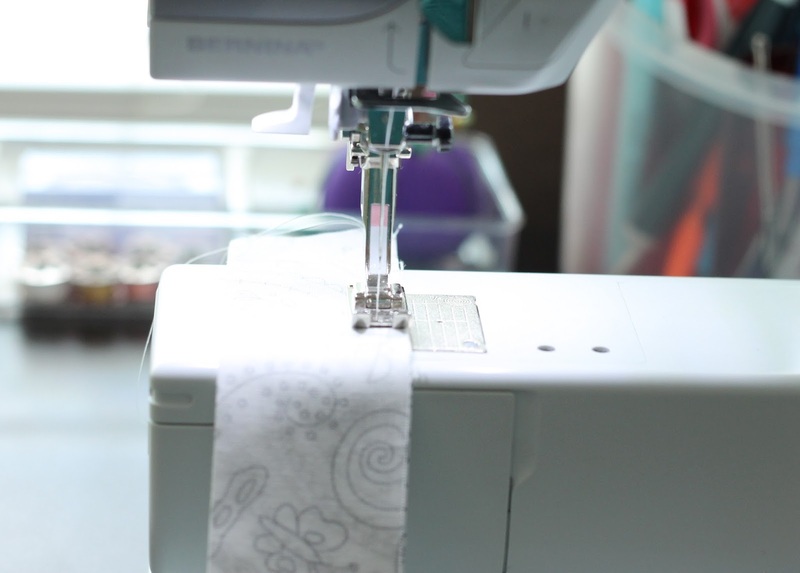 Place smaller piece on top of larger one, making sure they are centered and secure with a pin or clip and carefully sew down the middle. On the wrong side of your bow (the side that has the longest tube/strap) center the ribbon and place about 1/2" inch from the edge. Sew in Place. Take your D-Ring and run it trough the ribbon, with the round side up. 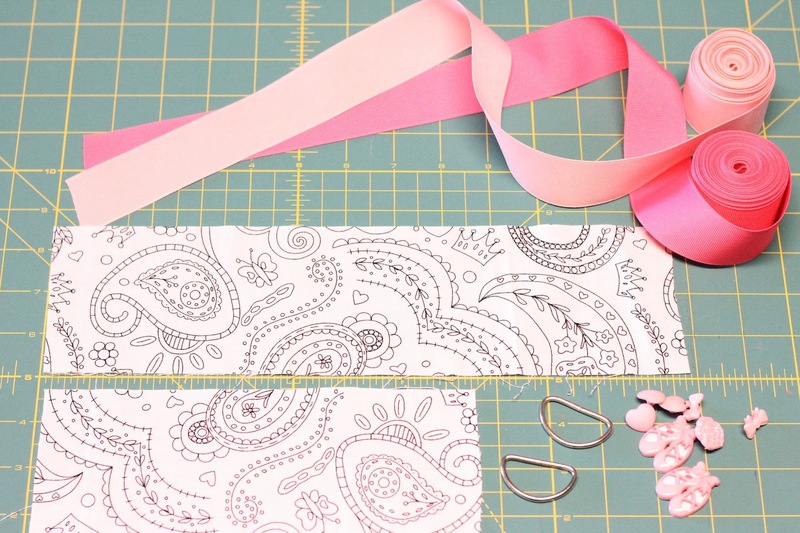 Bring ribbon up and around the center until it meets the back again. 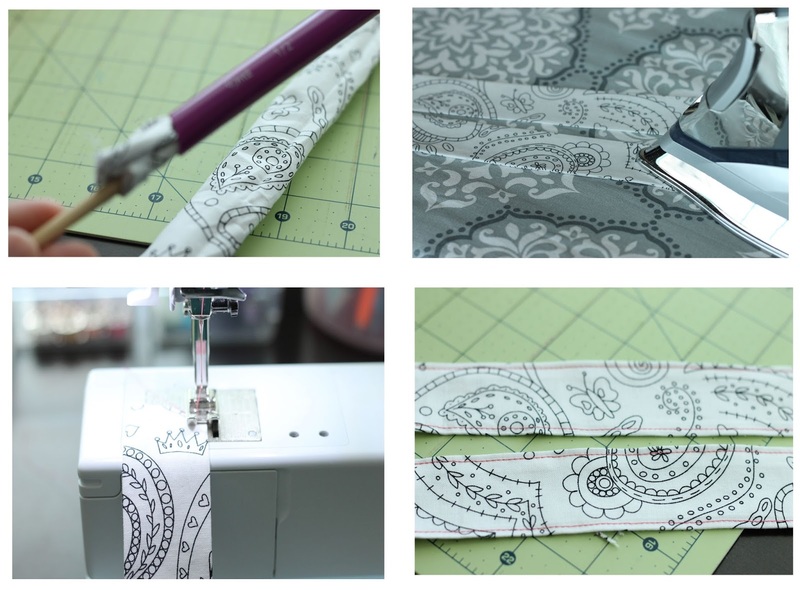 Secure with a pin and sew at the bottom only, with 1/4" seam allowance. 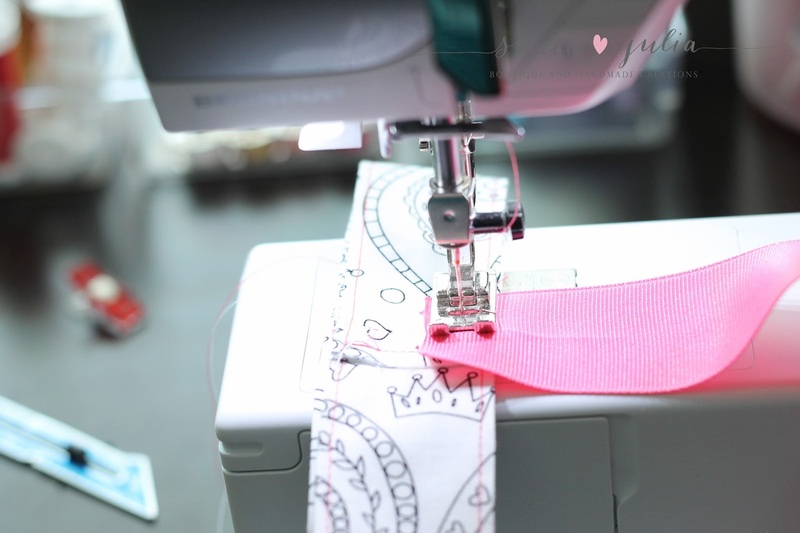 Seal the bottom end of your ribbon with a lighter or fray-check to avoid fraying. Add any embellishments or none. You are done! 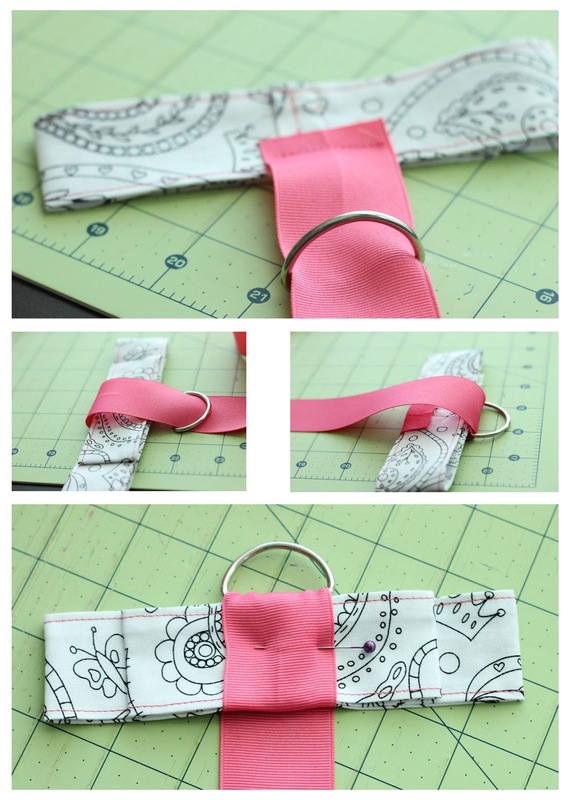 so cute and easy to do!thanks for sharing !